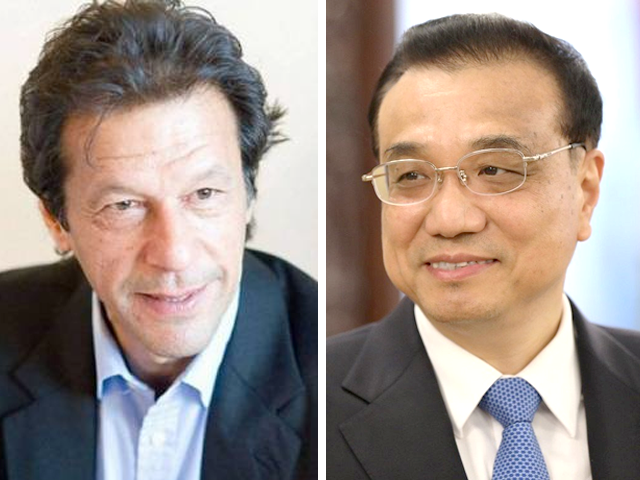 Chinese Premier Li Keqiang has assured Prime Minister Imran Khan that China will continue to support Pakistan’s efforts to preserve its national security, stability and development, Chinese state-owned television reported on Monday. According to CGTN, the Chinese premier congratulated Imran Khan on taking office as Pakistani prime in a telephonic conversation. The two countries have enjoyed a strong strategic cooperative partnership and bilateral ties withstood the test of time, including a changing international scene, Li said. “China is willing to work with Pakistan to conduct close high-level contacts, deepen pragmatic cooperation, enhance coordination on major international and regional issues, promote common development and make contributions to regional peace and prosperity,” Mr Keqiang added. The Chinese premier said China appreciates Pakistan’s great efforts in safeguarding the CPEC related projects and believes that Pakistan will continue to take measures to guarantee the safety of Chinese personnel and institutions in the country. China is willing to strengthen cooperation in various fields with Pakistan, import more competitive and high-quality products from Pakistan and facilitate a balanced development of trade to bring more benefits to the two peoples, Li added. The Pakistan-China Economic Corridor brings new development opportunities for Pakistan, and the country will continue to promote its construction and take the strictest precautions to ensure the safety of Chinese personnel and projects, he said.